..with 306,203 page views to date (not including your view right now!) ... 6492 comments ... 1,363 followers from ten countries. I'm thinking about what kind of celebration I should have to celebrate the actual Blogaversary -- definitely a giveaway because we all like presents! -- but what to do in the meantime? Well, I think I am going to look at why I blog, what posts have had the most impact, and perhaps evaluate what I should do in the future to improve the blog. Do you have any ideas for me? I'd love to hear your comments! In the meantime, here's the first installment of why I craft -- and blog about it. What do you do to share your talents in an altruistic way? Our local hospitals (and senior centers, hospice facilities, nursing homes, etc.) offer volunteer opportunities for "off-site crafters." Most of these crafters make knitted goods for babies, pillowcases for cancer patients, etc. I've called and made myself available to make cards for those (adults and children) who are in the hospital for a long time, and perhaps have few visitors. I'm also making (free or as a fundraiser for the auxiliary) note card sets for the hospital gift carts so those who are hospitalized can keep in touch with friends "on the outside." 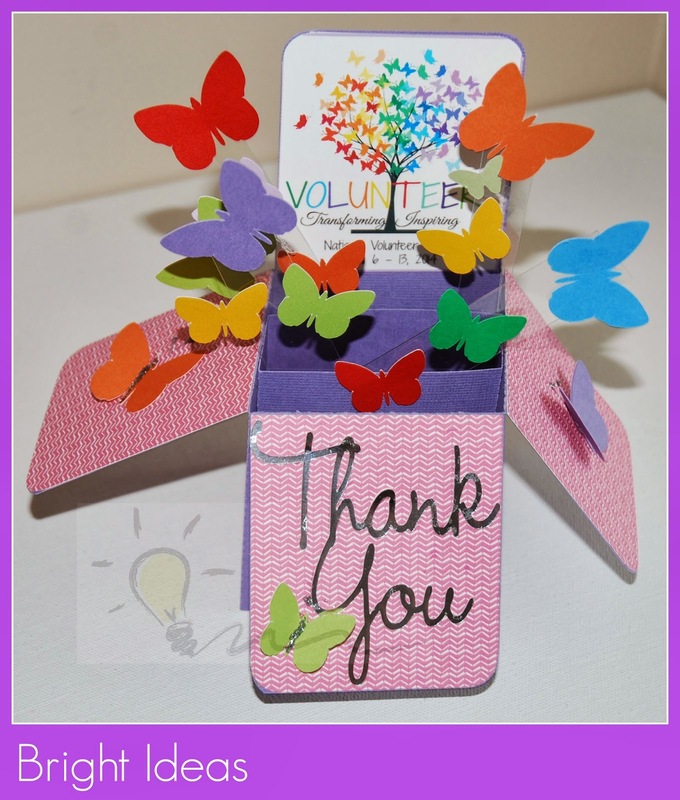 This 3-D pop-up box card I have made celebrates the volunteers at our local hospitals. I am sending mine to the office Directors at the three hospitals most local to me, as well as to the senior center, as a thank you during NATIONAL VOLUNTEER WEEK (April 6-13, 2014). I developed the logo (butterfly tree in the back) and the theme as well. 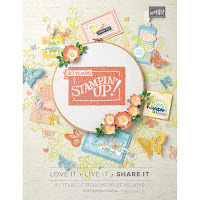 FYI, I used CTMH Lollydoodle bulk paper (pink side) for the interior of the box; the rest was from stash. I cut the box card using a template I found on http://extremecards.blogspot.com. I developed the logo using an image from http://clickartonline.com that I purchased. Your kindness is Unbelieveable. Keep blogging, girlfriend, you mean so much to so many. Love you. How did attach the butterflies. They look like they are flying out of the box! Thanks for your inspiration! 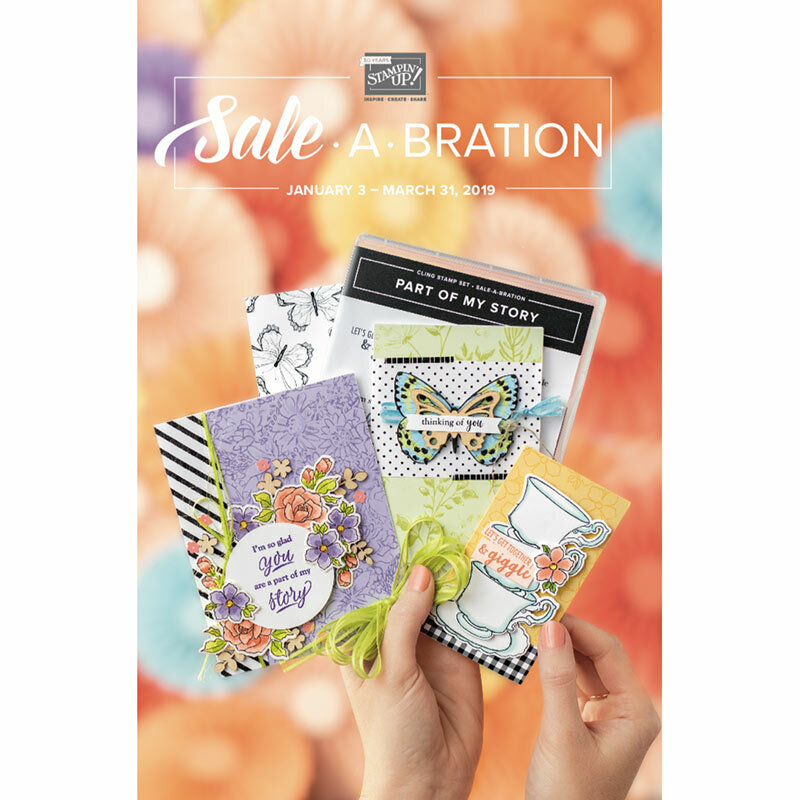 Not just the beautiful card, but your thoughts on making our cards for others.---I think a lot of cardmakers have more cards than they will ever use and this is a great way to share and brighten someones day.